BFS Capital is an expert in finding the right financing solutions for your business. 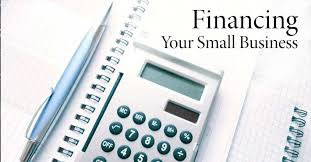 For many small businesses it is difficult to obtain traditional financing from your bank. Peer-to-peer financing might be a good option for your business. For start-ups who have been in business for less than a year, your options are typically limited to venture capitalists or an angel investor, credit cards or crowdfunding. Most alternative lenders require a minimum of one year in business, while banks will want you to have been in business for much longer. BFS Capital has alternative funding up to $2 million. For faster access to capital, you'll want to look at alternative funding providers like BFS, who can give you access to capital in as few as 48 hours in some cases. Regardless of your situation, there's a financing solution out there for your business needs.